A posttest, blank answer sheet, and course evaluation. You may purchase the book directly from the publisher with our 40% discount (for a total of $137.97 + tax) and free shipping here, or you may rent or purchase the book on Amazon.com here. Please note that you have to order the Test Only to complete for credit in addition to the book. Purchasing a Test Only means that you will only receive the posttest and blank answer sheet and course evaluation. It is the responsibility of the customer to make sure that they have ALL the necessary up to date reading materials in order to complete the test as our courses are updated frequently. If you would like to purchase the book for this course you may do so by clicking the button in the “What’s Included” section. X-Ray Lady Company is not responsible for the failed result of someone attempting to complete a test without any or incorrect reading materials. Radiography: A Review of the Basics is intended to provide the radiographer with a refresher of radiographic core theory and fundamentals of radiographic anatomy and positioning. The course is based on the 4th edition textbook, Limited Radiography (2016) authored by Jeana Fleitz & Frances E. Campeau. The first four chapters include information about the occupation, ethical and legal aspects of healthcare, and patient care. 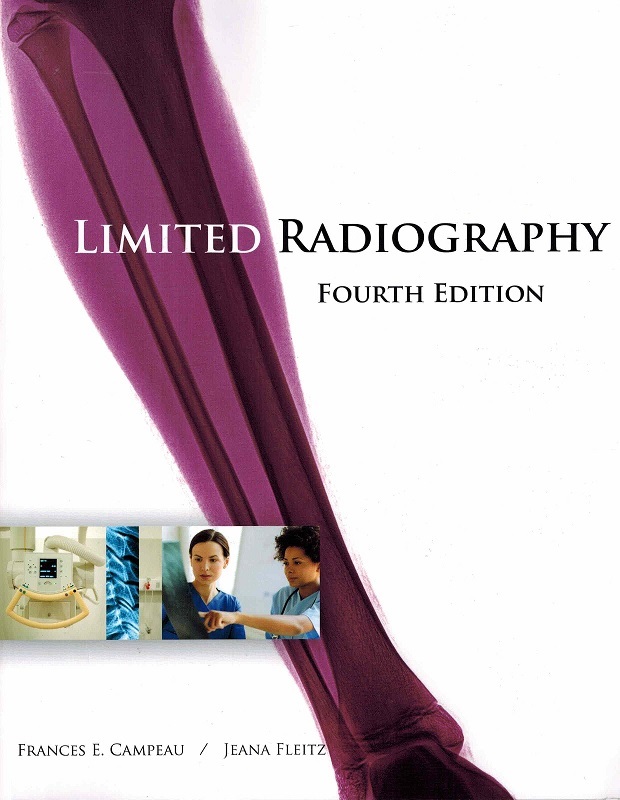 Chapters 5-13 provide a review of radiographic core theory and imaging equipment. Chapters 14-19 cover radiographic anatomy & positioning of the chest and abdomen, upper and lower extremity, spine, skull facial bones, and paranasal sinuses. The last chapter provides an overview of current imaging modalities such as bone densitometry, ultrasound, magnetic resonance image, and computed tomography.